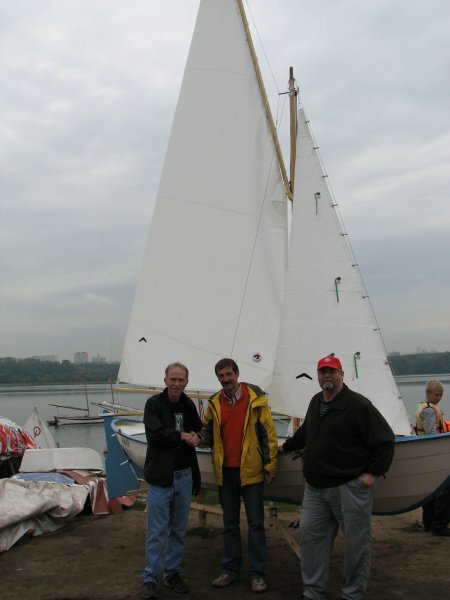 Randall Kleeman led a class of 12 students at the Anglo-American School of Moscow, Russia, in the construction of PETER THE GREAT, an Iain Oughtred Whilly boat design. 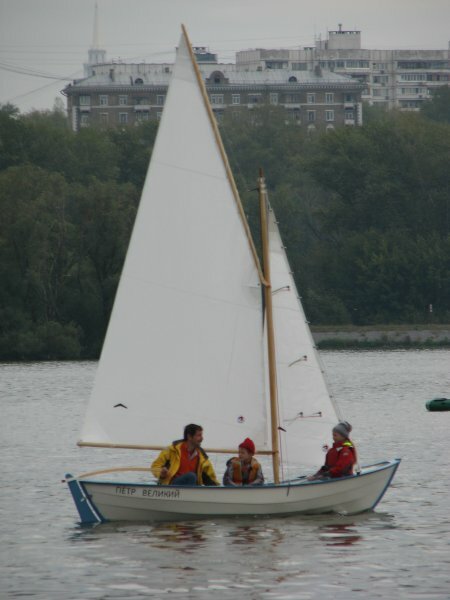 The boat carries 80 sq ft of sail and weighs about 140 lbs. The class built the glued-lap hull from okoume plywood, oak, and spruce. They shaped the spars with handtools. The class built 5 boats over the school year--four sailboats and a kayak. 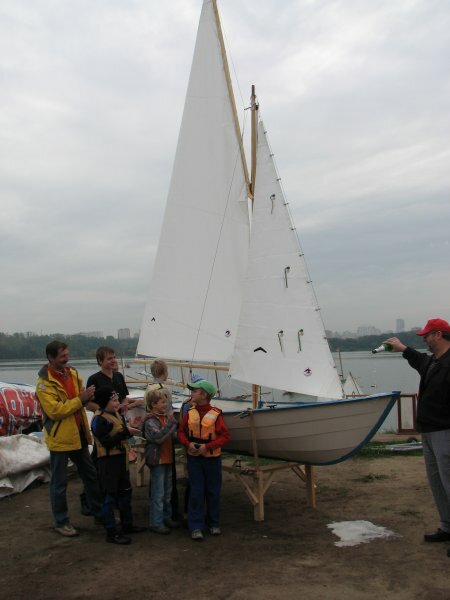 They used four of the boats to raise funds for the school, and donated the fifth, PETER THE GREAT, to the Russian Navy Cadet Program, where it will be used for training young sailors at Stragino Yacht Club on the Moscow River, the Volga River, and the Gulf of Finland. In the first picture, you can see the students christening PETER THE GREAT. After that, you'll see the school director shaking hands with Cadet Commander Georgi Andronov, as Randall Kleeman looks on. 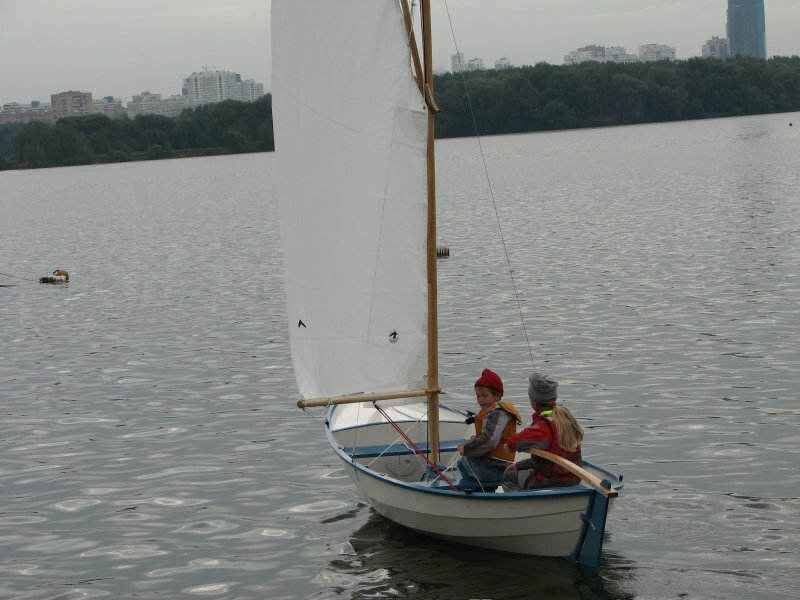 The pictures following those show the children sailing the boat on the Moscow River.